For the last few years, the Hitler Rant meme has served as the soapbox from which many geeks have found a place to have their viewpoints heard and illustrated with the passion they deserve. 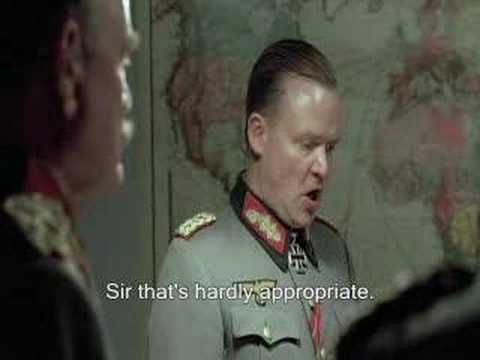 Taken from the 2004 movie Downfall, these videos are now being taken down from YouTube due to actions of the people who own the original content. So, while we still can, here are the 10 funniest Hitler Rant videos that are still up on YouTube. Now, last time we checked, YouTube doesn't track embeds on its player, so here, embedded, are the 10 best Hitler rant videos that are still up. Honorable mentions to the burning man rant, the Avatar day rant, and the original XBox live ban rant -- they were funny while they were up. We'll miss you, fallen Hitler rants! But at least we have a Hitler parody or two to console us. Because who doesn't love a good Hitler spoof? Pretty much only angry little Hitler. Usually the video clip starts with someone informing him of something horrible, Hitler brushes it off as a solvable problem. Full of fear, his commanders tell him that his solution is not possible. He tells everyone who isn't important to leave and then goes on a huge tirade about something. 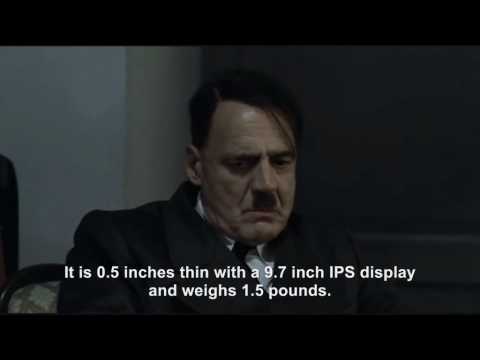 Of course, this meme has always been in German, so people replace the subtitles in the original German film to make Hitler rant about pretty much anything. Examples include everything from Disney buying Marvel, to random movie reviews, to the lack of new features in a new tech product. On April 21st, 2010, the hard work put into the meme started slowly being taken down from YouTube due to legal action by the German production company Constantin Film, who owns the original content -- i.e., the German film The Downfall. Here is the hitlerrantparodies YouTube group's reaction to this legal action, in which they don't use the video, but just audio clips of the scene we've all come to know and love -- with subtitles, of course. Everyone was disappointed by the iPad's lack of innovation and the fact that it is just a giant iPhone that doesn't use WiFi as well as it should; but nobody was more disappointed in the advent of the iPad than Hitler. Giving voice to the tech community's woes on Apple's newest flub, this Hitler video describes, even to the layman, exactly why people are angry about the iPad. After tragedy strikes, Hitler is informed that he cannot Tweet about it. Hitler then goes on to rant about Twitter's consideration of their users and vocalizes the social media community's feelings towards a site they're meant to use in real-time that keeps going down. After spending all kinds of time making your XBox as great as it can be, customizing it and making it work to its optimum potential, there is nothing more frustrating than being banned from something that probably eats up all your weekends. 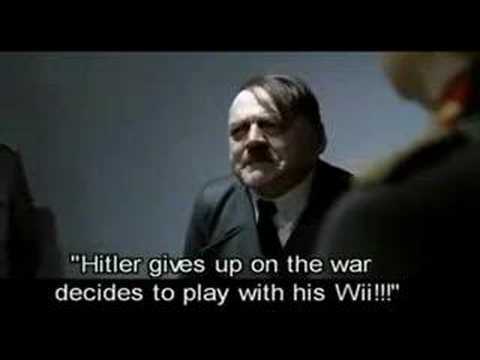 Hitler illustrates what it feels like to lose everything that goes along with being banned from XBox Live.